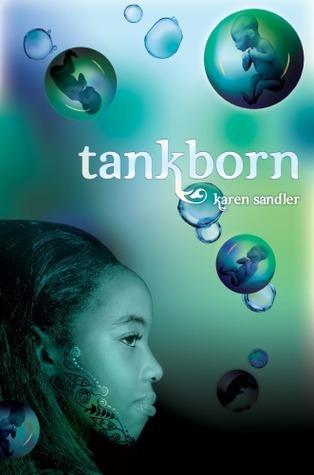 Tankborn by Karen Sandler is the first book in a young adult science fiction trilogy by the same name. The second book, Awakening, is available now with the final book, Rebellion, to follow in spring 2014. On the planet Loka, the people who fled there from Earth are divided into groups with different amounts of land, wealth, and power depending on their social status. Whether high-status or lowborn, they all have one commonality: they are trueborn, making them much better off than the tankborn. The tankborn, or GENs (Genetically Engineered Non-humans), are created by humans and gestate in a tank. GENs are developed with a little bit of animal DNA, used to give them their skets, or skill sets. Until they reach the age of 15, GENs live with a nurture mother, another tankborn made specially for caretaking, and perhaps some nurture siblings. Once a GEN turns 15, he or she is given an assignment that requires leaving one’s family behind, sometimes forever. A GEN has no control over their assignment, but it’s supposed to keep them safe and it’s supposed to make them happy since they are doing a task that matches their sket. If they perform their task well and avoid conflicts with the trueborn, they have nothing to fear; however, a tankborn who leaves their assigned area, uses advanced technology, or raises their voice to a trueborn can be reset—becoming an empty shell without a trace of their memories and personality. As Kayla nears her fifteenth birthday, she wonders what type of assignment she’ll be given and if it will take her far away from her family or bring her closer to her friend Mishalla, who was recently assigned. Shortly before Kayla’s birthday, an enforcer in the Brigade brings her the clothing she’ll need for her assignment and a data upload with a message Kayla is not expecting: Your help is required, Kayla 6982, nurture daughter of Tala. Hidden with her new clothes is a package that she is asked to hide from everyone and bring with her to her assignment. She decides to embark on this mysterious mission and cleverly avoids all searches of both her belongings and herself to bring this item with her on her new assignment as caretaker to an elderly trueborn man. Tankborn was an entertaining story, and I enjoyed reading it immensely. Taken individually, the science fiction elements were not all that unique—humanity settling on another planet when Earth became uninhabitable, genetically engineered people and questions about their humanity, and some advanced technologies. However, the additional details, such as the societal structure with the various degrees of status and the religious beliefs of the GENs, were well done and made the book seem unique as a whole. 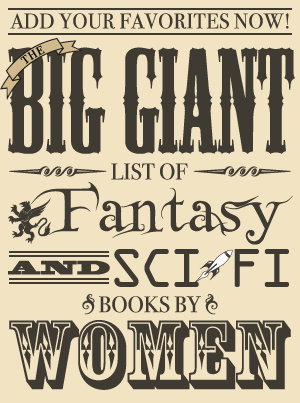 Besides being a science fiction story, there’s also some mystery/suspense and a little romance, though I did think that the world and story were the strengths of this novel. I felt that some of the revelations were predictable, the characterization could have been stronger, and that the two romantic subplots seemed underdeveloped and rather rushed—but none of those criticisms kept me from eagerly turning the pages or wanting to read the second book! Of course, the main science fiction element explored in Tankborn were the GENs, the easily identifiable people with tattoos on their cheeks for neural transmission of data who were viewed as non-human. The two most prominent viewpoint characters, Kayla and Mishalla, are GENs and this provides a glimpse of their everyday lives and struggles—from Kayla’s mistreatment by trueborn boys merely for being tankborn to Mishalla’s inability to be seen in public with a trueborn boy, even one who is lowborn. Through these two characters, readers are shown what tankborns face through firsthand encounters. I also found it interesting that there was a religious component to the story, and GENs believe that the Infinite spoke to the prophets about how to create them. Kayla’s perspective has some focus on her religious beliefs and her complex relationship with religion. She resents having to follow a set path in life, but at the same time she has faith in the Infinite and truly believes what she has been taught: the Infinite designed GENs for a purpose and when their task is completed they return to the Infinite, an experience solely belonging to those who are tankborn. Throughout the story, more about the origin of the GENs and Kayla’s past are revealed and while aspects of these (particularly Kayla’s history) were rather predictable, I remained engaged in the book from start to finish. Kayla is attracted to Devak, a handsome high-status trueborn who stops some boys from throwing rocks at her brother in the first chapter (and of course turns out to be the great-grandson of the man she is assigned to care for!). There are some sections from Devak’s point of view, and out of all the characters, he is the one who changes the most throughout the story as he works through his own beliefs about the humanity of GENs. In the first scene with Kayla, Devak shows kindness but it’s also clear he doesn’t see GENs as equals. He believes himself to be decent to GENs, but as he spends time with Kayla, he finds himself constantly thinking or saying things that show he does in fact believe he’s superior to GENs. The more he talks to Kayla, the more he questions his beliefs about humanity, which he has questioned somewhat due to the influence of his great-grandfather, who treats tankborns the same way he would anyone else. I thought Devak was believable as a character who has had some good influences but also has to deal with some prejudices he’s learned from society and the rest of his family. His mother is just plain rude to GENs, but his father has taught him everything they do is for the good of GENs or even lowborns, which is easy to believe until Kayla asks him if he’s ever asked any of these people how they actually feel. I thought Karen Sandler did an excellent job of showing Devak as a generally decent person who has soaked up what the world around him is constantly teaching him. I especially appreciated that Devak learned and changed through the story because he’s the only character who wasn’t black or white in viewpoint. He was the only character who didn’t fall into an extreme since most were either rude to or ignored GENs or treated them as equals. His great-grandfather, Zul, is also an interesting character: he’s 102 years old and bed-ridden but he doesn’t let that stop him from being a force to be reckoned with! Despite containing a couple of interesting characters, this was more of a plot-driven book and I did feel like Kayla and Mishalla had interchangeable personalities and voices. Neither stood out as a unique person and they seemed more like vehicles for the story than characters with a life of their own, swept up by the story and driven by the plot. As long as they were also courageous enough to embark on mysterious missions, it seemed as though any GEN character could have been in the place of Kayla or Mishalla. Most of the unique traits they had came from their particular makeup as a genetically engineered person, such as the way Kayla felt like a freak because of her strength and her unusually marked arms. They’re both perfectly likable characters (though Kayla’s story was more interesting than Mishalla’s), but neither came alive. While it makes some sense since both their lives were planned out for them, neither seems to have unique hopes, dreams, or interests aside from their respective love interests. On the subject of the romantic interests, both relationships seemed very rushed and I never really understood what brought either couple together. There’s at least some time for Kayla and Devak to get to know each other, but there are very few scenes with Mishalla and Eoghan (to be fair, Mishalla’s storyline has fewer pages overall). All complaints aside, I did truly enjoy Tankborn and found it a very engaging book. It kept me turning the pages, wanting to find out the truth about tankborns and how Kayla and Mishalla’s stories ended. Even if I would have liked to see more to her character than being tankborn, I could sympathize with Kayla from the very first chapter, which showed just how poorly tankborns were treated for simply being tankborn. I appreciated that there were at least some nuances in how the characters viewed GENs and dealt with their own prejudices and views on humanity, and I thought the social structure and beliefs came together very well in this story. I definitely plan to continue this series (and even considered reading the next book immediately after this one before deciding to try to fit in some books by different authors for Sci-Fi Month! ).